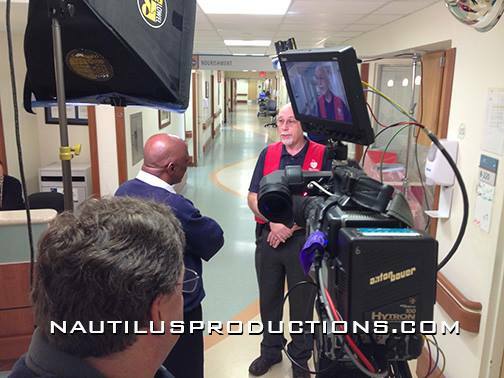 The Nautilus crew has over 2 decades of experience documenting surgery, emergency room treatment, medical equipment demos, civilian and military disaster drills, producing and staffing medical videos and documentaries. Documenting a ground breaking procedure or need to produce a live medical conference for the web? Give us a call – we can do it. 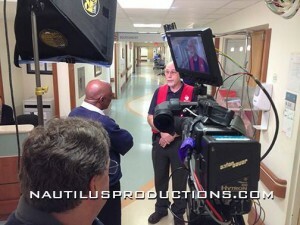 Videographer for Hospital: The Series on Discovery. 3 Month project at Duke Medical Center and covered every field from oncology to neonatal to emergency room response. Produced the video Laparascopic Exploration of the Ureter and Removal of Fibroepithelial Polyp. Documented Laparascopic Nephrectomy and Laparascopic Bilateral Inguinal Hernia Repair. Videotaped triage and trauma response in the emergency rooms. Covered Marine Corps & state of North Carolina chemical/biological terrorist drill to test large scale disaster response in Wilmington, NC. Various drug trial & instructional videos for Bayer, Glaxo, Proctor & Gamble, Johnson & Johnson & more. Training, informational & in house network productions for health care providers.